Restaurants may be open twelve months a year, but it’s still a very seasonal industry—some months are boomers, sometimes business is slower. If you’re managing a restaurant you need to adjust and plan according to the calendar. Here are a few recommendations to keep in mind that will help your business thrive in winter. Whether it’s for a holiday or there’s something important going on in their personal lives that transcends work, sometimes your employees need time away from their job. Whether the reason is known in advance or comes on suddenly, to keep staffing organized at a time when schedules may get tangled or complicated, use the latest employee scheduling software to ensure that being sensitive about your staff’s time is easy. It’s important to be understanding with your employees, and they’ll be grateful that you treated them like a person instead of merely an employee. However much snow there is outside, make sure that the inside of your restaurant has a comfortable temperature. You’re never going to draw people in from the cold, if it’s cold in there too! Also, make sure you shovel the sidewalks. Everybody passing by will appreciate it, and maybe one of them will turn inside for a bite or a warm drink. At the very least you don’t want people to slip, and shoveling can save someone an injury or you from a law suit. It doesn’t need to be something corny like pumpkin-spice latte, which gets mocked annually around Halloween time on social media and in real life.There are certain foods which just feel winter-y. Have a sign board outside displaying promotions for warm winter cocktails, or heavier heartier dishes like cheese fondue or a French onion soup. People are looking to escape the grim weather, so give them a seasonal retreat that both embodies the weather and makes them escape from it. It’s also a time where people can feel lonely: making a place where people feel cozy, warm and wanted is a blessing. If winter does bring with it a lull, then it’s a good time to try out some new dishes or refine old ones before things get busy again during spring patio season. Maybe bring back a crowd-pleaser from days gone by.If you let people know about the new things going on, and they’re intriguing enough, maybe it’ll counteract the initial lull that encouraged you to experiment in the first place. Unless your restaurant is too fancy or just has the wrong vibe for televisions, use winter sports to lure people inside. Pro football, ice hockey, basketball and other sports are all played during winter. People love to have a bite and a beer while they watch the game. This is especially useful on off-nights. Every four years the Winter Olympics are a big draw, so long as they’re played in a time zone that’s compatible with patrons’ schedule. Keeping a restaurant in business is a difficult endeavor, and especially when foot traffic dips it requires creativity and outside-the-box thinking. 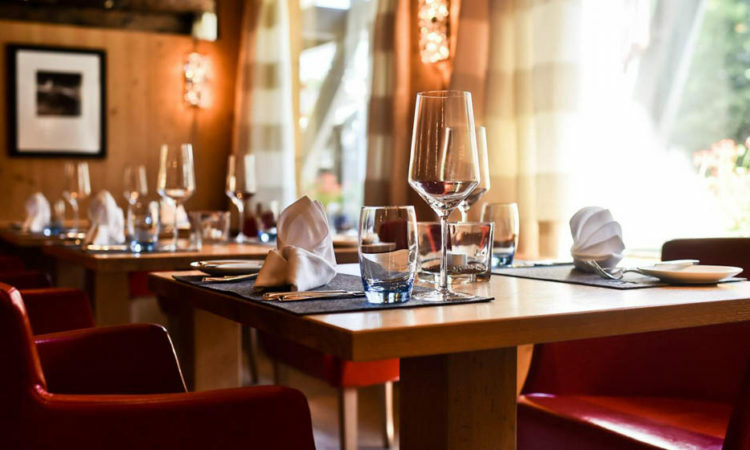 Hopefully these tips help your restaurant stay busy when it’s cold outside.